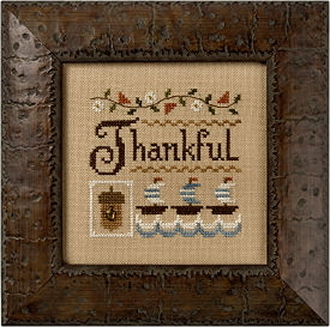 A lovely Little Thanksgiving Sampler design with those famous "3 ships" that discovered America and the New World with our pal, "Chris" Columbus on board. Chart includes 30 ct. Amber linen and an antique gold Acorn charm and golden beads. Design size 3.47" x 3.47". ﻿ Stitch count 52 W x 52 H.